They are being paid $150 a game, but they say that, for the pleasure of competition, they would play for nothing. There are 25 of them, mostly Long Islanders who learned to love the game at Sewanhaka High or Levittown or Manhasset. 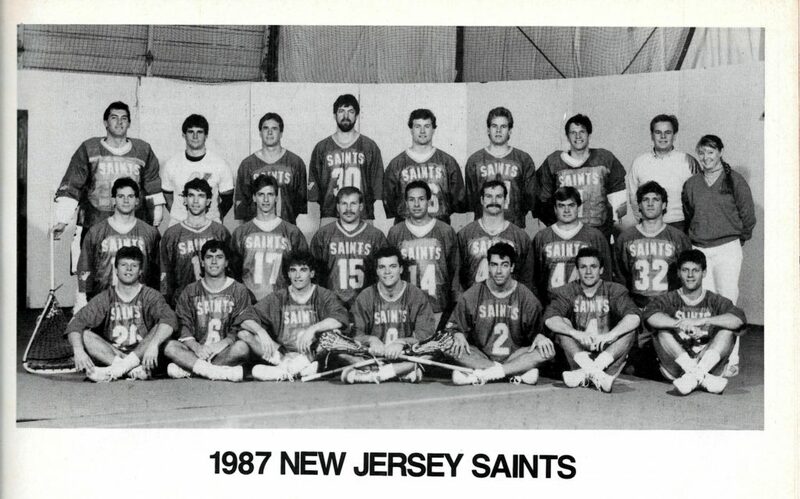 Their collective name is the New Jersey Saints, and they play lacrosse indoors. Their season will begin Sunday night in Byrne Meadowlands Arena when they play the Baltimore Thunder. Plenty of tickets are available, but that is not to say that the arena will be empty. 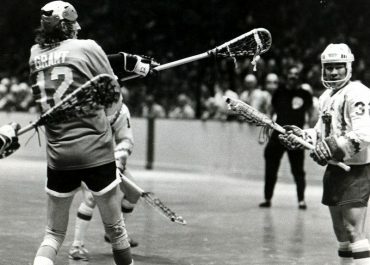 In their inaugural season last year, to the astonishment of Meadowlands Sports Complex officials, the Saints averaged more than 6,691 spectators in three home games and had one of the strongest walk-up sales figures in the arena’s history. In sports-marketing parlance, walk-up sales are ones made just before the event to customers who walk up to the box office. About 5,000 such tickets were sold to the Saints’ home games. 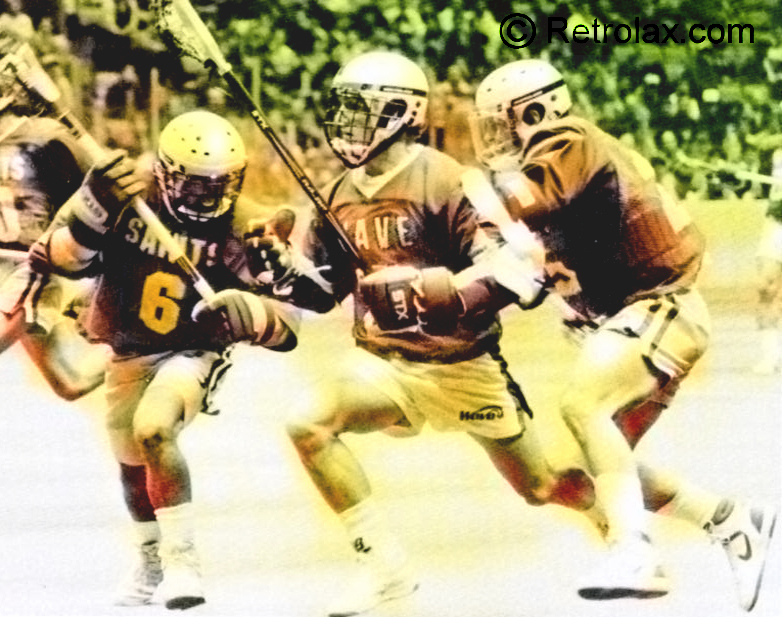 The New Jersey Sports and Exposition Authority, which runs the sports complex, is a partner in the lacrosse enterprise. 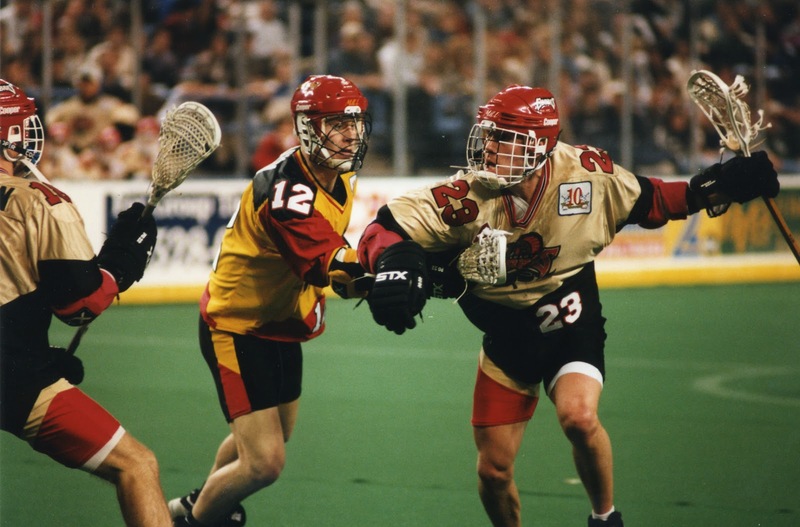 The four teams – the Thunder, the Saints, the Philadelphia Wings and the Washington Wave -and the Major Indoor Lacrosse League itself are all owned by Russ Cline and Chris Fritz, Kansas City-based concert promoters. 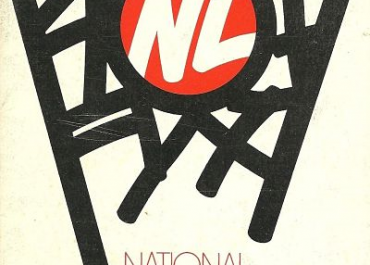 The league’s arenas are partners in the sense that they provide services such as public relations and operation of the events. They charge no rent, but take a share of the receipts. 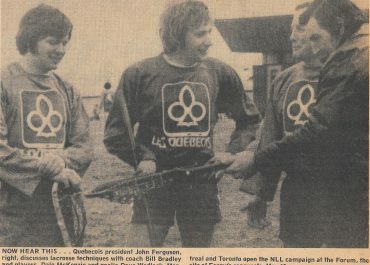 Cline and Fritz acknowledge that they knew little about lacrosse at first, but after spending about $1 million to start the league last year, they qualify as old hands. After a modest but successful beginning, Cline sees a robust future for the league. Four more teams will be added next year. It was not difficult to find the players. 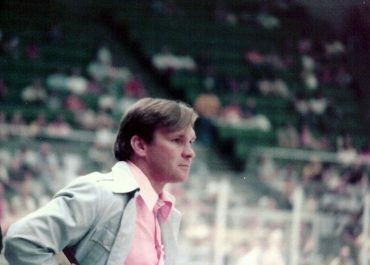 Bob Engelke, the Saints’ coach, and Tom Flatley, the general manager, chose the team from 60 aspirants who had been prominent on college teams. This season, there is a nucleus from last year’s squad, and all but one come from Long Island, one of the three areas in which outdoor lacrosse is played extensively at scholastic, college and club levels. The other areas are Baltimore-Washington and upstate New York. 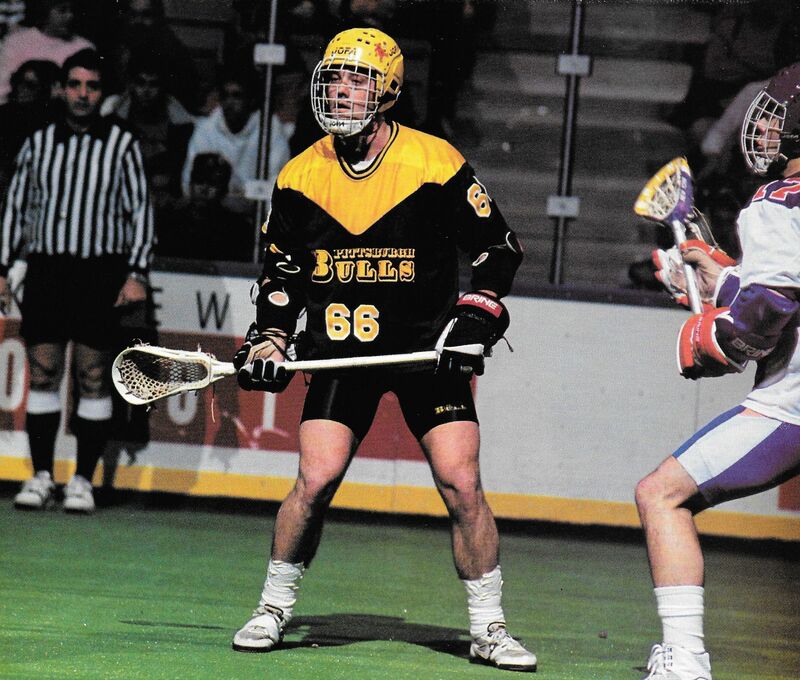 Engelke, a former star player at Adelphi who also coaches the New York Athletic Club team, believes that indoor lacrosse requires more from its participants. ”Because it’s more confining than outdoors, there’s more physical contact,” he said. ”So you have to be stronger, have more stamina – also, be quicker because the game’s faster. Decisions come more rapidly.” A Rink With a Carpet Indoor lacrosse is played on a hockey rink that has carpet instead of ice. The ball and the players bounce off the boards and the glass, and the goalie, who is banged around a lot, is dressed up like a hockey goaltender in pads and mask. At any one time, the goalie has five teammates on the floor who have no designated positions. Engelke substitutes in five-player units. 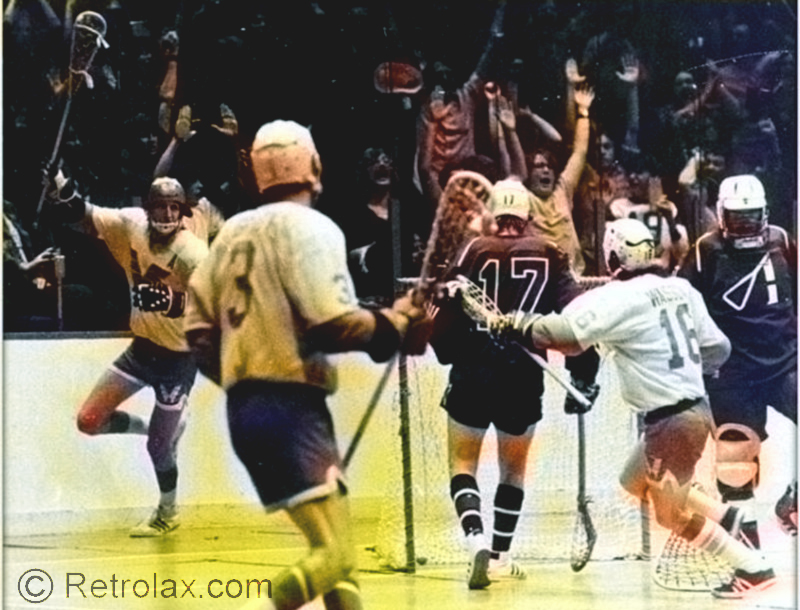 Indoor lacrosse does have a history. 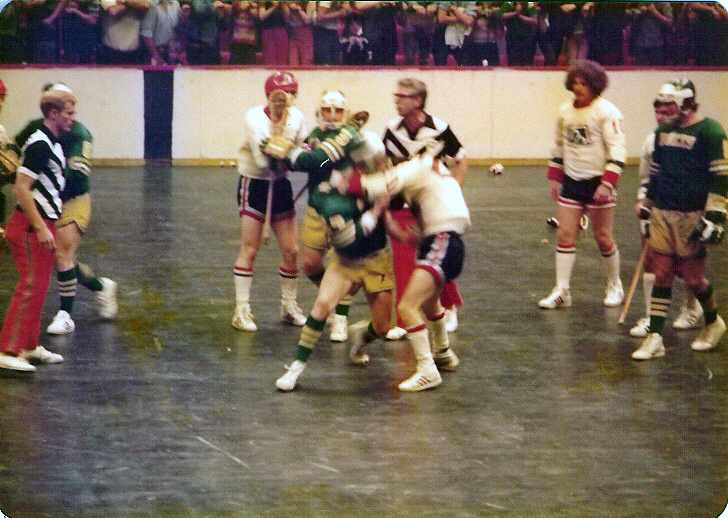 It is more properly called box lacrosse, and a professional league had a short life in the early 1970’s. 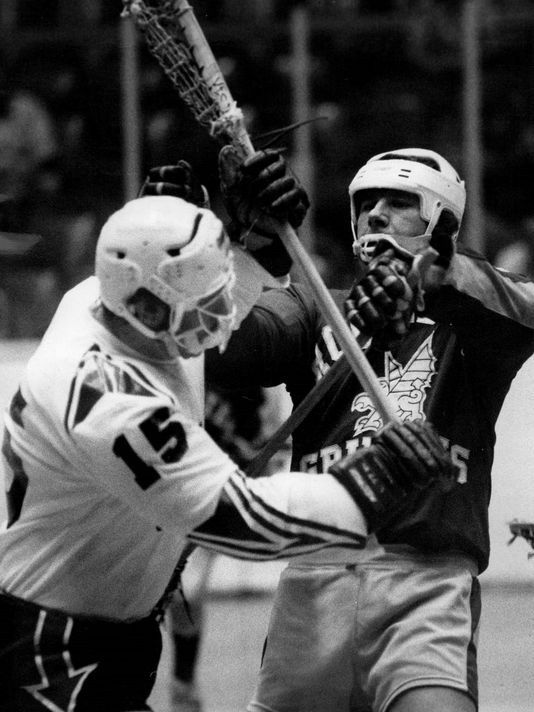 Before that, box lacrosse was played for decades at places like the Onondaga Indian reservation near Syracuse, and there are those who attest that no rougher game was ever played. The stick was a weapon, and the rules were few. 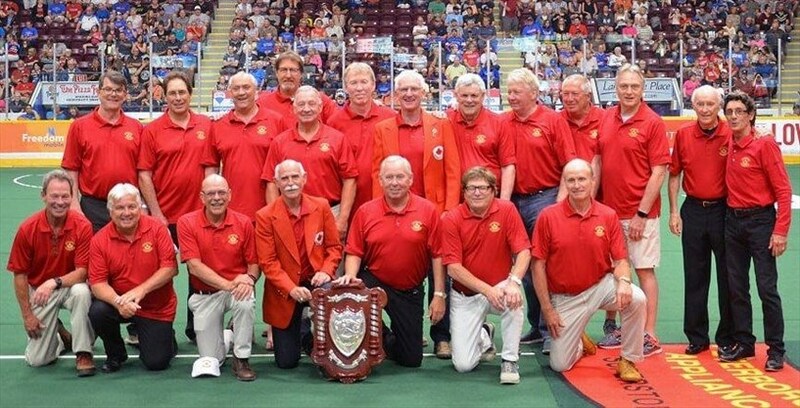 The indoor league will again have a two-month season, with each team playing eight games. Playoffs and a championship will follow. The average score last season was 16-12, and the Saints had the best record, 5-1, before losing to Baltimore, 2-4, in a playoff game. The Thunder then beat the Wave, also 2-4, for the championship, 11-10. Flatley, a longtime coach at Sewanhaka High School of Floral Park, L.I., where he continues to teach, says the league’s teams appear to be well-balanced again, each with its share of former all-America players.